PRESS RELEASE – Restructuring and expanding the Group, with improved profit – dominated 2018. The Grieg Group continue to develop positively in all business areas. Last year was influenced by restructuring in order to optimize Group structure, expanding nationally and internationally in several companies, as well as developing and implementing the UN Sustainability Development Goals within all companies. Grieg Group had an overall pre-tax profit of NOK 926 million on a turnover of NOK 9,7 billion. Equity is NOK 7,6 billion (46%), and the Group is well positioned for the future. -We consider 2018 as a good year for the Grieg Group, says Wenche Kjølås, CEO in Grieg Maturitas. Grieg Seafood reported another strong year in a growing salmon market. Production increase of 20%, harvest volume up to 75 000 ton. Target is 100 000 ton in 2020. Grieg Star experienced improved earnings due to better market conditions and synergies from the establishing of G2 Ocean. Grieg Shipbrokers, satisfactory, given market conditions. Good progress within Maritime Finance and chartering activities within Dry Bulk, Gas and specialized tankers. Grieg Logistics’ companies within digital services to harbors and port operations, merged into Grieg Connect, and the market position is strengthened. Grieg Green reinforced its position as one of the few players providing sustainable ship and rig recycling in the world. Grieg Investor has launched new services and focused on sustainable capitalism. Achieved another year with growth and strong results. Grieg Kapital was established in 2018 to better coordinate capital investments, improve and strengthen the Group’s asset management activities. -By expanding and restructuring the Group more efficiently, we are well positioned for the future, Kjølås says. The Group has focused on developing and implementing the UN Sustainable Development Goals as part of the business strategy in all companies with common goals at Group level. Grieg Foundation owns 25% of the Grieg Group. The Foundation supports global projects for the education of children and youth, art and cultural, medical research and environmental projects. In 2018 Grieg Foundation’s contributions amounted to NOK 46 million. Since its establishment total distributions amount to approximately NOK 593 million. 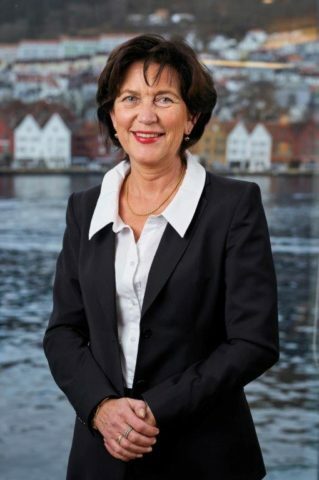 Wenche Kjølås, CEO Grieg Maturitas : +47 91624434, + 47 55576600.